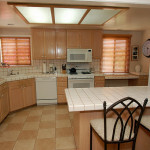 You are here: Home / Interiors / Kitchen Interiors / It’s Not Mom’s Kitchen Anymore! 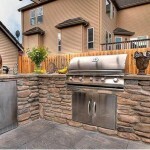 It is said the kitchen is the heart of the home. 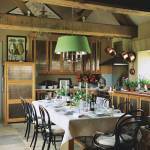 We use our kitchens for cooking, of course, but also as a gathering place for friends and family. Joys and sorrows are shared over coffee or meals around the table. Preparations for celebrations and cherished traditions take place here too. 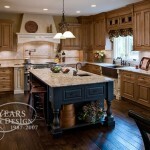 So making your kitchen the best possible for your needs while creating a cozy beautiful space is time well spent. Now, more than ever, you can create a beautiful functional kitchen with things your grandmother only dreamed of. As population explodes and costs rise, some are downsizing their homes. While this can be a good thing, it also usually means a much smaller kitchen. Try multi-functional appliances to make small spaces functional. 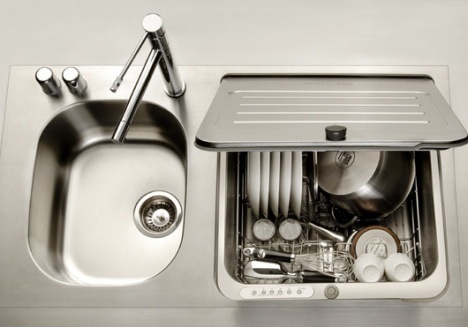 One such appliance is a combined dishwasher and sink. You can lift the dishwasher top lid to use it as a sink. With the lid down lay a cutting board over it and use as a food prep counter. Need to go even smaller? How about a combination kitchen? This small white floor cabinet has a sink and faucet on one end, two stove burners on the other end and space in between for food preparation. You can even store food underneath in the cabinet or opt for a small refrigerator under it instead. We all remember snow cones although we usually found them outside of the home. Well, get ready to reclaim those carefree times only this time you can enjoy a favorite retro treat in your own kitchen. Nothing is as good on a hot summer day than a snow cone. 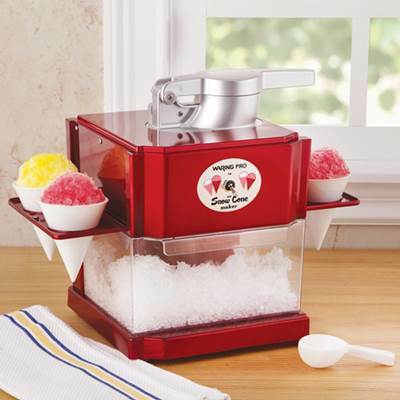 Bring back that pleasure with a personal countertop snow cone maker. Most make the cones in under a minute. It creates plenty of shaved ice for adding your own juice or syrups. Other small “treat makers” for cotton candy, corn dogs and popcorn are available in countertop size. Face it, cooking gets boring day in and day but with these neat kitchen items you can add a little style to this daily chore. Don’t run from the stove to the cupboard or table. Instead invest in a kitchen trolley. 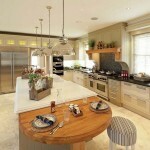 Kitchen islands are nice but with a trolley you’ll have an island you can take with you. You can have everything you need to make the meal right there with you in one central mobile location. After that delicious meal is ready don’t sit down at some boring table. Try high tech futuristic metal chrome counters and stools. 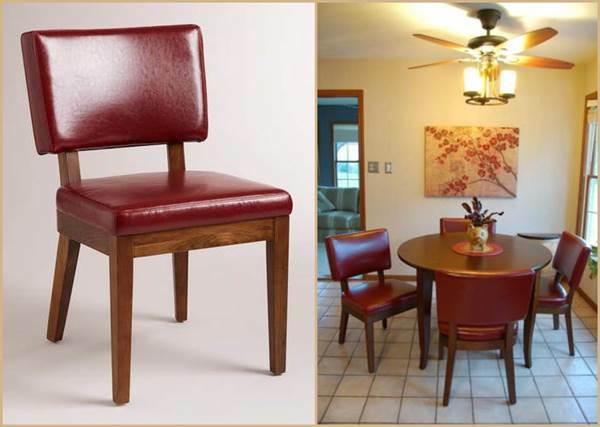 Or if you are more into vintage designs choose a booth style table and benches like the ones that used to be found in old 50’s diners with matching dining room chairs. If only there was an easier way to prepare foods… there are many gadgets that can help you. Take heart, measuring at least is easier with this talking gadget. You know the drill; your measuring cup is hard to read with the small print on the side and measuring spoons tend to get scattered or lost. 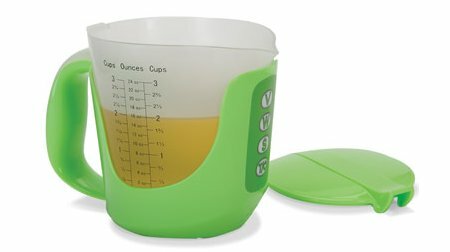 Instead save time measuring, not to mention your eyesight, by using a talking measuring cup. Set this cup in the base after filling and then listen to it tell you how much is in it. You can choose which units of measuring you want to use plus it knows the difference between different densities. Use it with both liquid and solids too. You’ll never burn food again with a new self-stirring pot from Japan when it makes it to the market. When it reaches a certain temperature, it starts spinning inside on its own. No matter what you are cooking, food won’t burn because it’s always moving without you having to remember to stir it. 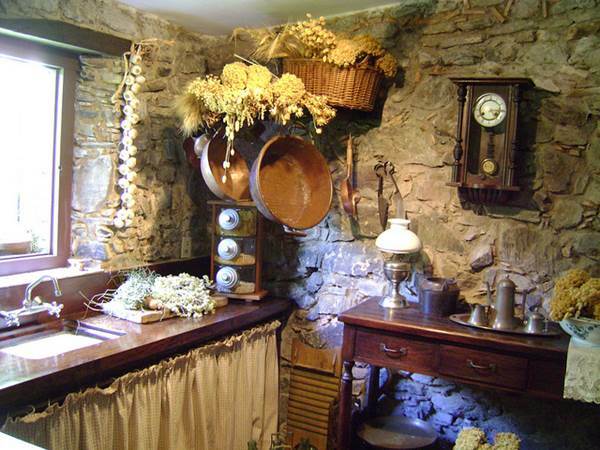 Today’s kitchens need not be dull and ordinary. 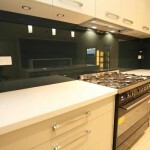 Cook up some creativity and make a kitchen that is uniquely your own by utilizing the numerous up and coming trends and designs.